iLoveToCreate Blog: Crafty Chica™ Myspace contest winner announced! Crafty Chica™ Myspace contest winner announced! 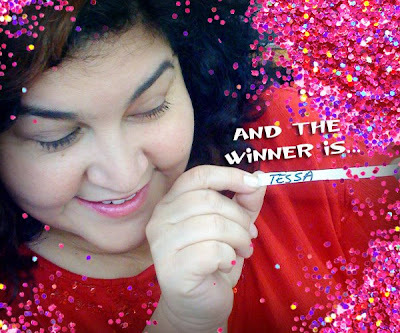 Congratulations are in order for Tessa Green, the winner of the Crafty Chica™ Myspace Prize Pack! Crafty Chica is currently in the www.ilovetocreate.com house, so we asked her to do the honors! "I love to create gifts for friends and family and sometimes myself :). Now that I have a sewing machine most all my crafts use it in some way. It's so rewarding to be able to finish a project in an afternoon. Since discovering the Crafty Chica at the Austin Maker Faire I've used her blogs and books to inspire many a project." Thanks so much to Tessa and everyone else who participated! We are always going to be finding ways for you to win...in fact, if you didn't win this time, check out our Baby Onesie contest that is going on now for an additional chance to win cool products from www.ilovetocreate.com. 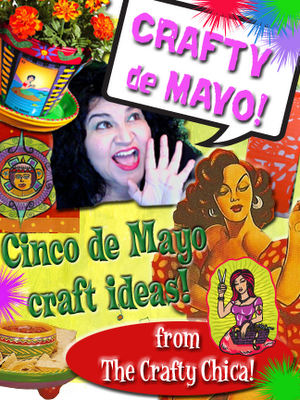 Oh, and in honor of Cinco De Mayo, hop on over to Crafty Chica's Crafty de Mayo blog post for lots of artful and inspiring ideas!